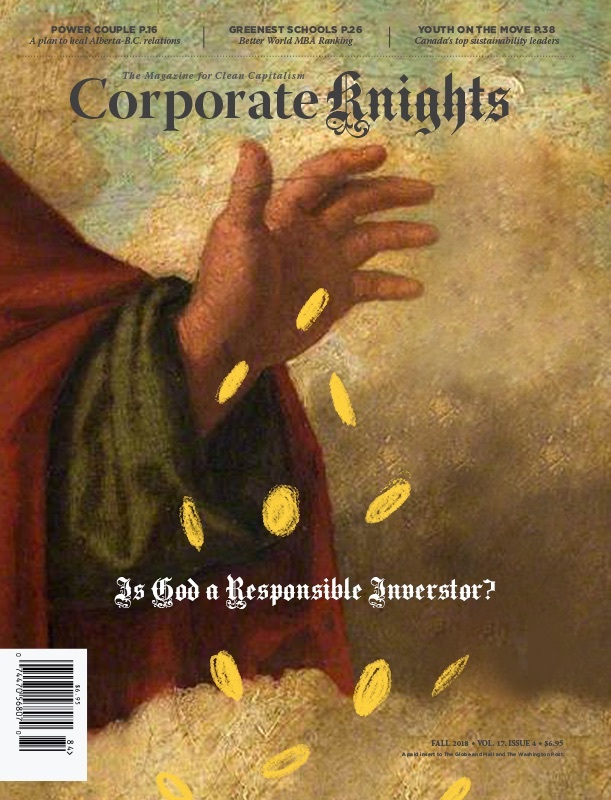 Sun shines on Kaiser Permanente, while Anadarko Petroleum pays big penalty for oil spills & other environmental degredation. A certificate vignette from The Kerr-McGee Corporation before it was acquired by Anadarko in 2006. 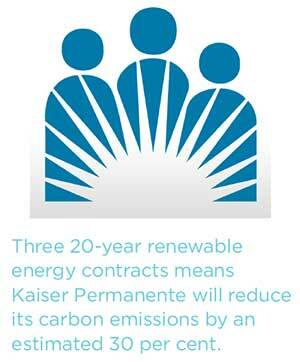 Health care conglomerate Kaiser Permanente announced an ambitious clean energy shift in February that will ensure 50 per cent of electricity used at its California facilities comes from renewable energy. The Oakland, California-based company – the largest managed care organization in the United States – has signed three 20-year solar and wind energy deals that will reduce its carbon emissions by an estimated 30 per cent. While the company would not disclose the exact cost, it said it managed to negotiate a competitive price for all three contracts. The agreements were made just a week after Apple and Google both announced similar-sized clean energy deals, demonstrating how cost-competitive solar and wind power technologies have become in recent years. The U.S Department of Energy estimates that American health care facilities spend $8.8 billion per year on energy in order to maintain buildings that are 2.5 times more energy intensive than average commercial offices. A recent report in the Journal of the American Medical Association holds the health care sector responsible for eight per cent of U.S. greenhouse gas emissions. Kaiser Permanente was one of the earliest American healthcare organizations to sound the alarm on the threat that climate change poses to its business model and has evolved into a leading proponent of sustainability in its industry and beyond. Working with industry groups, such as Greenfield Health Center and the Center for Health Design, Kaiser helped found the Healthier Hospitals Initiative in 2012. It has prioritized greater energy efficiency throughout the company by retrofitting existing facilities and mandating that all new builds be certified as LEED Gold or higher. It also received a 2013 Green Power Leadership Award from the U.S. Environmental Protection Agency for its use of solar power at a number of its healthcare facilities across the United States. Anadarko Petroleum Corporation paid out a record $5.15 billion settlement on January 23, the result of a deal struck with the United States Department of Justice (DOJ) last April. The agreement settled years of litigation involving Kerr-McGee, an energy and chemical subsidiary of Anadarko that was acquired in 2006. A portion of the settlement, $4.4 billion, will be used to fund environmental remediation efforts and settle outstanding environmental claims across the United States. It is the DOJ’s largest environmental enforcement settlement to date. Anadarko is also currently involved in litigation surrounding the 2010 Gulf of Mexico oil spill, due to its 25 per cent ownership of BP’s Macondo well. Although the company paid BP a $4.1 billion settlement in 2011, the DOJ is pushing for additional penalties to be levied on both companies under the Clean Water Act. The $5.15 billion settlement stemmed from a 2005 decision by Kerr-McGee to spin off a paint manufacturing unit of the company called Tronox. All of Kerr-McGee’s environmental and tort liabilities were transferred to Tronox at the same time. Tronox filed for Chapter 11 bankruptcy in January 2009. The Anadarko Litigation Trust – comprised of the U.S. Government, 11 state governments, American Indian tribes and a number of individuals – argued in court that this was a fraudulent attempt to shed environmental and other tort liabilities. The bankruptcy judge agreed, ruling that the Tronox spin-off “was not made for reasonably equivalent value” and Anadarko became liable when it acquired the company as a result. The judge estimated the damages would eventually range from $5.15 billion to over $14 billion. While on the low end of the judge’s original estimation, the $5.15 billion settlement agreed to by both parties was still hailed as a victory by members of the Anadarko Litigation Trust. “[Kerr-McGee] tried to shed its responsibility for this environmental damage and stick the United States taxpayers with the huge cleanup bill,” said Deputy Attorney General James Cole at a press conference announcing the deal. The settlement effects will be spread out across much of the United States, touching upon everything from radioactive remediation in Navajo Nation territory to Anadarko’s liabilities in numerous federal Superfund sites. 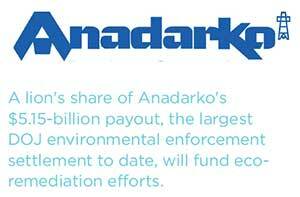 Despite the size and scope of the settlement, Anadarko Chief Executive Officer Al Walker was quick to point out the silver lining to investors: the firm is estimating a $550 million tax benefit as a result of the deal. Click here to view our complete Heroes and Zeros series.